When you get some MOV videos and need to use these files on websites, you’re supposed to convert MOV to HTML5 supported formats like WebM. As we all know, now HTML5 is the latest HTML standard supported by major browsers such as Google Chrome, Firefox, Internet Explorer, Opera, and these main-streaming video websites like YouTube adopt HTML5 player, as well. In HTML5, WebM is a supported video format for streaming highly quality videos with small file size. Compared with MOV, WebM files can be streamed online at faster speed and are compatible with more online players and webs. 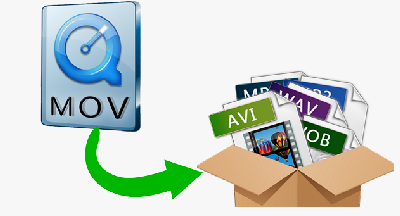 Therefore, many people want to convert their MOV videos to WebM for using the file online. The quick solution to convert MOV files to WeBM, MP4, OGV, FLV, 3GP, etc. It’s professional, lightning-fast, helps you to convert videos with original video quality at smaller size. A good video converter is a necessity for converting MOV to WebM. HD Video Converter Factory Pro is such a useful MOV WebM conversion desktop software featuring fast process speed, optimized preset, self-explanatory operation. It has no any advertisings, limits and never embed watermarks on your videos. Moreover, this powerful program works as a MOV compressor, editor and video downloader. Let’s start the conversion. Run HD Video Converter Factory Pro. Click “Run” button and select MOV files from your PC. This program also supports drag-and-drop mode. Just drag the target files into the window for saving more time. It only takes seconds to load MOV video in large file size. Now click “Output Format” button on the right and the output format menu will be extended. Hit “Web” and then click “WebM” profile. Tips. As shown, HD Video Converter Factory Pro supports converting videos to other HTML5 supported formats. Until now, In HTML5, there are three formats- WebM, MP4, OGV. So if you want, you can also convert MOV to MP4 or OGV, or convert MP4 to WebM, WebM to MP3, etc. Hit the file folder icon on the main interface to specify the output path. Finally hit “Run” button to finish the process. HD Video Converter Factory Pro supports batch conversion mode and 50X faster conversion speed. Soon you’ll get the output files. Many online video & audio conversion services enable to convert MOV files to WebM but I'm afraid you may be dazzled by the various so-called MOV to WebM converter. So here I want to show you how to convert MOV file to WebM with a reliable online file conversion service. Step 2. 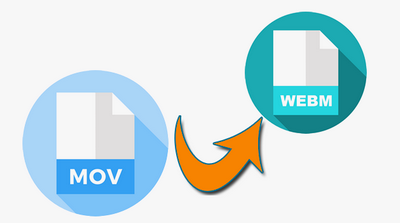 Click “Select Files” button to import MOV file that you want to convert MOV to WebM online. Step 3. Hit the red “Start Conversion” button on the lower-right to start the conversion process. Step 4. After the conversion is finished, click the green “Download” button to save the converted WebM files. Due to the unstable server and varied Internet speeds, it may be time-consuming to convert large MOV files. Meanwhile, most online converters have limits on file size, amount and supported formats. But more importantly, you’d better not upload any private videos for conversion because of privacy and security considerations. To sum up, if you just need to convert file occasionally and the file size is small, online converter like Cloudconvert will suffice. However, if you always have the demands to convert file formats or the video is large in size, there was nothing better than HD Video Converter Factory Pro. HD Video Converter Factory Pro offers the best option to convert MOV file to WebM. Beyond that, it has more other advanced features like compression setting, video enhancement mode and online video downloading.